As promised, I am blogging about Little House on the Prairie today! 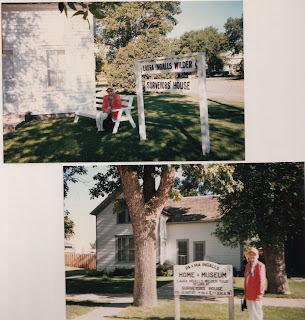 Last month, I read The Wilder Life by Wendy McClure about her travels to all the Laura Ingalls Wilder sites around the midwest. I was very excited about this book because I had been to those places too! 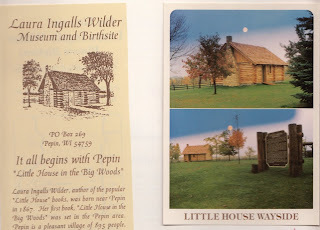 In 1997, I took my Granny on a trip along Highway 14, The Laura Ingalls Wilder Highway across Wisconsin, Minnesota and South Dakota to see the places depicted in the Little House books. Our first stop was Pepin, WI and the site of" The Little House in the Big Woods". The woods are no longer there!! Everything must have been cut down long ago. 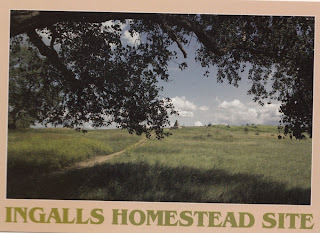 I always imagined a "Black Forest" style forest, but it looks awfully a lot like prairie here now. And the cabin is only a replica. 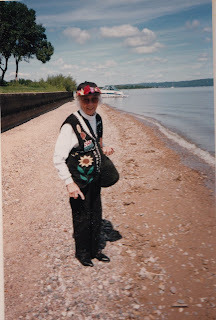 We stopped to pick up rocks along Lake Pepin just like they do in the books! 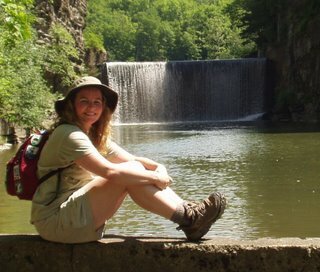 And Wendy McClure did it too in her travels. Next stop was Walnut Grove, MN and "On the Banks of Plum Creek". Not much to see here now, but the town does a Wilder Pageant and a Pioneer Festival every year in July. Walnut Grove gets a lot of visitors because of the 70's TV Show starring Melissa Gilbert and Michael Landon. 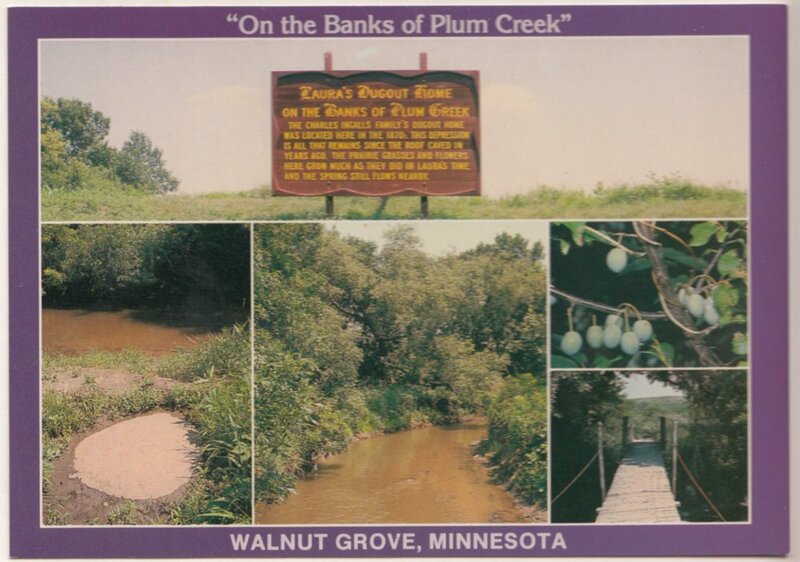 In the book, Walnut Grove is not even mentioned. Supposedly Laura explained, "At the time, I did not realize I was writing history." 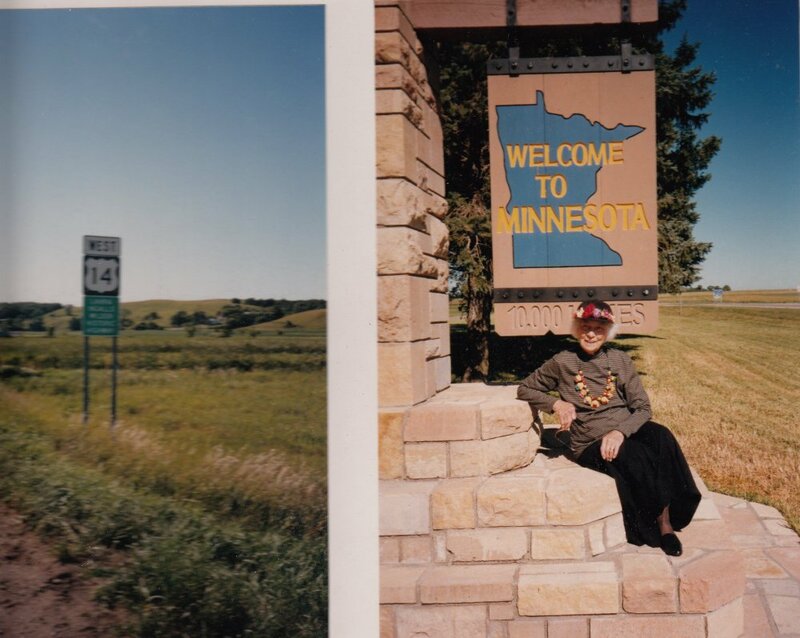 Our last stop was DeSmet, South Dakota and the site of "Little Town on the Prairie". They have a Pageant that is held every year during the last weekend in June through the first two weekends in July. The Ingalls lived in the surveyor's house as depicted in "The Long Winter". 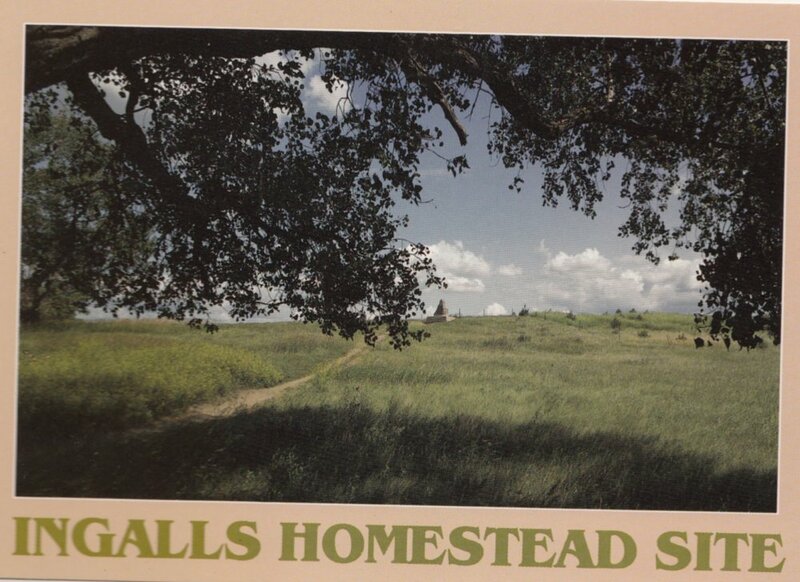 At the Homestead site, there are 5 cottonwood trees that were originally planted by Charles Ingalls. One is in the foreground of this postcard photo! 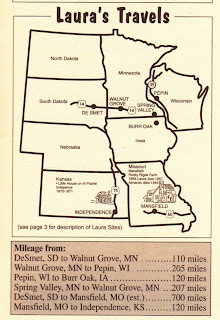 Laura lived on this homestead from age 13-18 and it was in DeSmet that Laura met and married Almanzo Wilder. The homestead that she and Almanzo established (in the book "The First Four Years") is just 1.4 miles North of DeSmet and a historical marker there honors Rose Wilder Lane, their daughter. My Granny and I had a wonderful time visiting all these places and I highly recommend it as a family vacation destination! We flew in and out of Minneapolis, MN and had a rental car and stayed in Bed and Breakfasts the whole time, but there are also lots of camping options as well, and motels like Super 8 and Days Inn along the way. When I would take my Granny on vacation, I would create a scrapbook for her with all the photos and postcards and brochures that we picked up along the way. So that is how I have all this information at my fingertips today. We did the trip in August and missed all the pageants. 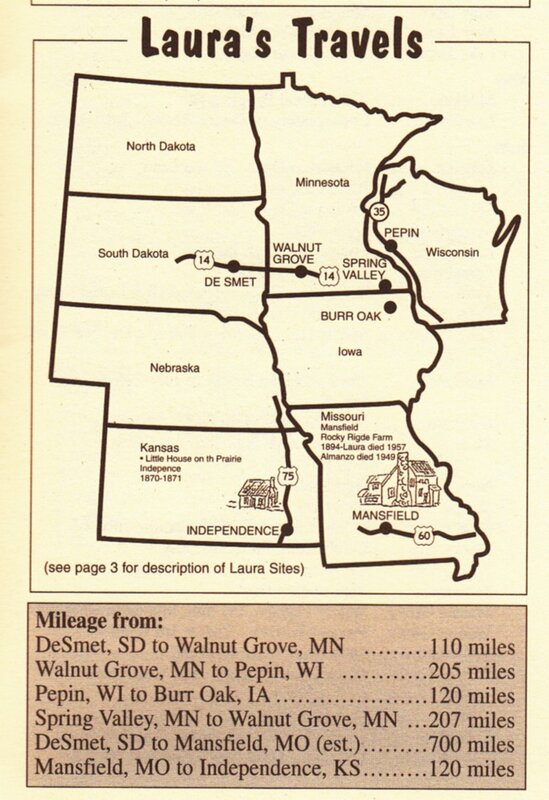 I had a book called Laura Ingalls Wilder Country by William Anderson to help me plan the trip. I visited all three places with my parents when I was a teenager. We also went to the Laura Ingalls Wilder Home and Museum in Mansfield, MO. Have you been there? Come to think of it, we also drove through Independence, KS one year, but the replica cabin that is there was closed for some reason.